The Relay for Life of Second Life organising team have announced the dates for a number of this year’s REFL of SL season’s special and mega events, some of which have already been promoted through various blogs, others of which are just being confirmed publicly with the formal press release now in circulation. Paint SL Purple: February 21st – March 7th, 2015: Leading up to the the official kick-off for the 2015 RFL of SL season comes the chance to paint the grid purple, the official colour of Relay for Life. Things will kick-off on February 21st with a special party (details TBA), and thereafter comes the opportunity for everyone to join in the purple fun! RFL of SL Kick-Off Celebration – March 7th and 8th, 2015: Join the celebrations to mark the official launch of this year’s RFL of SL season. Much is being planned, and details will be forthcoming soon! Halfway There Celebration – May 15th through 17th, 2015: RFL of SL reaches the half-way mark between the kick-off celebrations and the official weekend, which will be marked by special events and activities. Relay Weekend – July 18th and 19th, 2015: It’s the largest fund-raising event in the virtual worlds. For one weekend, 40+ regions will be devoted to this special weekend as everyone is invited to walk the track, celebrate with those who have survived cancer, remember those lost to cancer and help raise money that can be put to use in finding cures for cancer and in bringing help and support for those smitten by cancer. Wrap-Up Party – August 2015: Wrapping-up the official core season, although mega events will continue to be held. Details of the wrap-up party will become available nearer the time. 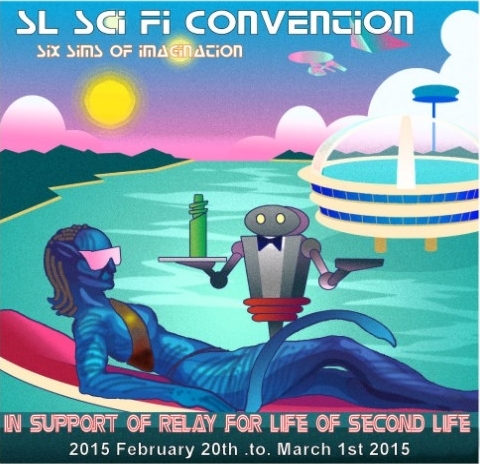 The 8th Annual SL Sci-Fi Convention – February 20th – March 1st, 2015: Set your phasers on fun and get ready to beam your way to the Sci-Fi Convention’s “six sims of the imagination”, offering entertainment and activities both on the ground and “in orbit”, with each region modelled as an exotic holiday resort.Find out more on the SL Science fiction convention’s website. Fashion For Life – March 21st to March 29th, 2015: Featuring everything Fashion in SL, with multiple regions, fabulous builds, and some of SLs best designers, bringing together fun, fashion and entertainment to help raise money for RFL of SL. 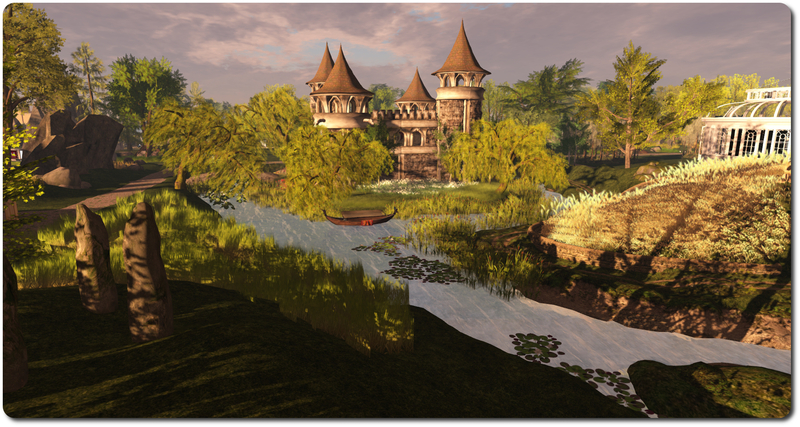 Please contact Frolic Mills in-world for more information. 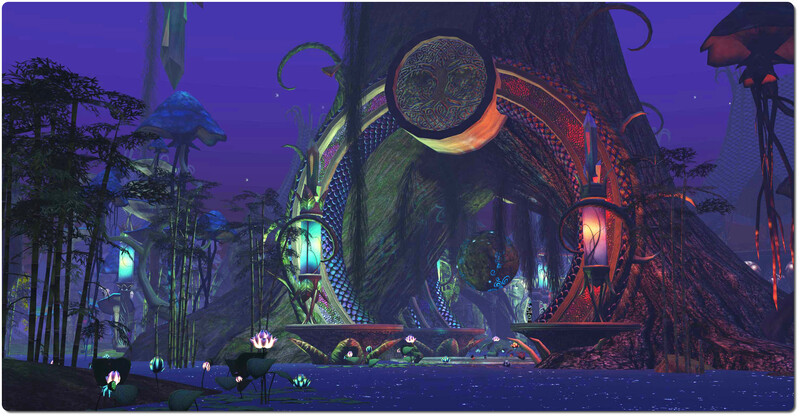 Fantasy Faire – April 23rd to May 3rd, 2015: also in its eighth year, Fantasy Faire is one of the most anticipated annual events in Second Life, bringing together all the worlds of fantasy and fantasy role-play in a series of themed regions and featuring SL’s top fantasy creators and designers, live entertainment, fun and games. Visit the official Fantasy Faire website for more information and news as it becomes available. The Home & Garden Expo – September 13th through 26th: Founded in 2008, this is largest Home & Garden Event of its kind benefiting Relay For Life, and features the great creators of Second Life’s Home & Garden products. Please contact Reign Congrejo in Second Life for more information. The Xmas Expo & Breedables Fair: The holiday-themed, offseason, mega shopping event that brings the magic of the holidays to SL and to Relay is returning for its 4th year! Entertainment, raffles, auctions, the Holiday Ball and more awaits guests, young and old, to the splendour of the Xmas Expo. Relay For Life of Second Life is an annual activity that takes place in Second Life in July each year. Volunteers form or join teams to have fun while fundraising and raising awareness from mid-March through mid-July. In July teams build campsites and walk a track, just like a Real World Relay. Since 2005, Relay For Life of Second Life has raised over $2.25 million USD for the American Cancer Society. In 2013, Relay For Life of Second Life has raised over $390,000 for the American Cancer Society. Relay For Life has become an international movement in RL and SL. In 2011 participants from over 80 countries took part in Relay For Life of Second Life. For more than 100 years, the American Cancer Society (ACS) has worked relentlessly to save lives and create a world with less cancer and more birthdays. Together with millions of supporters worldwide, ACS helps people stay well, helps people get well, find cures, and deal with their journey against cancer.